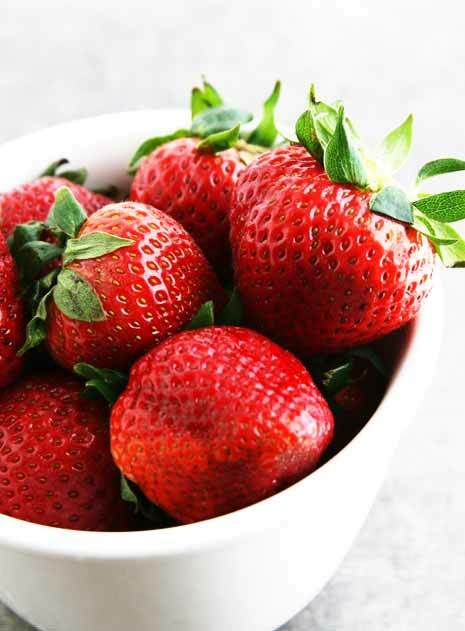 Today I’m sharing with you one of our favorite ways to eat strawberries. My neighbor and good friend, Alison, first introduced our family to dipping strawberries into sour cream and finishing it off by coating it with brown sugar. Growing up I used to dip strawberries into regular white sugar. Just thinking about it brings back so many wonderful childhood memories. I’ve also dipped strawberries in whipped cream or fruit dip. But never had I heard of dipping strawberries into bowls of sour cream and brown sugar. It seemed like a strange combination but I was still very curious about how it would taste. Would it be too sour? Would it be gross and unpleasant? To my surprise… it was truly delightful and indulgent! The sweetness of the brown sugar paired with the creaminess of the sour cream was unexpectedly perfect. 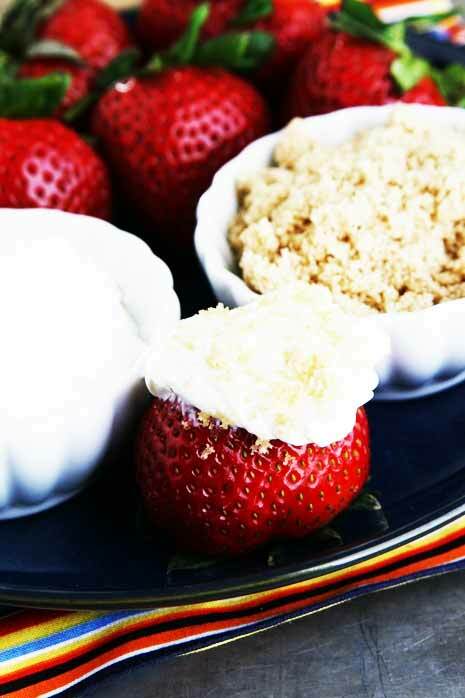 With just enough brown sugar to enhance the flavor of the strawberries, the slight tanginess of the sour cream added the perfect amount of “pop” to the sweetness of the other two ingredients. All three elements compliment each other so nicely yet each one stands out on its own. I would have no problem serving strawberries this way to dinner guests as a dessert. I should also mention kids love eating strawberries this way. Enjoy! A simple fruit dessert using strawberries, sour cream, and brown sugar. Set out a bowl of clean strawberries, sour cream, and brown sugar. 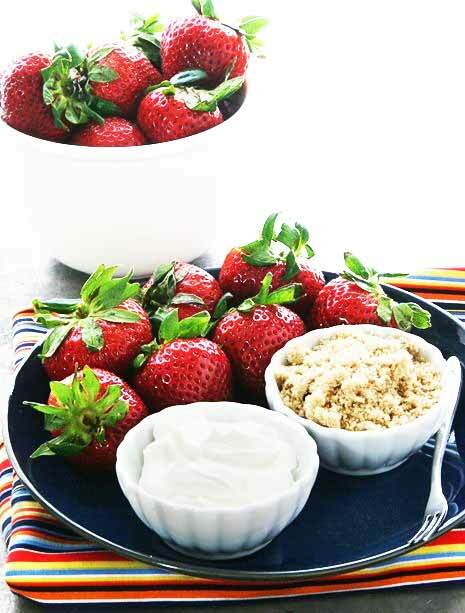 Dip strawberries into sour cream and then again in the bowl of brown sugar coating the cream. Brown sugar sour cream straberries so so so yummo! The Blue Strawberry was one of our favorite restaurants. So glad you’re getting the word out about this amazing desert! 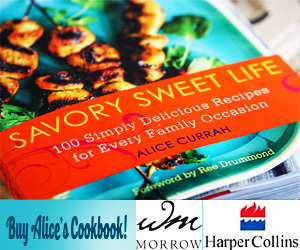 Mm…brown sugar…great idea! I usually dip strawberries into plain yogurt, but I’ll definitely try this out too! I too love this treat. Learned of it while babysitting when I was about 12. We used to also dip apples and bananas. So delish!!! I love strawberries and I love sour cream, so I don’t see why I wouldn’t love them together. But until I try it, my fave are strawberries with balsamic vinegar, yum. I learned about this in my 20’s (now knockin’ on 50’s door). My girlfriend and I used to sit by the pool and eat this treat. It is simple and yummy, yet you can serve it and make it very elegant as well. Haven’t had it in a few years. I think it’s time! Ok…this is so funny…just yesterday I shared with someone that this is a favorite dessert of mine. I worked at a hotel where it was an amenity sent to your room for a night dessert cap. I was about to blog it, too! Oh yum! This is such a great idea… I can’t wait for strawberries to be in season here. I look forward to giving this a try! oooooh! I’m so glad you posted this! a great bistro called Legends, in my hometown of Norman, OK used to serve this for dessert!! I had forgotten about it. I read about this combination when my kids were little (in Good Housekeeping maybe?). Tried it with them and they loved it. It’s been at every party or family gathering since then and everyone is amazed at how good they are this way!